The twenty-first century is characterized by extremes of poverty and wealth, of scarcity and abundance. The vast inequalties of wealth distribution between the developed west and the impoverished developing world is a complex problem. This book recognises that Africa in particular has manifested this global disgrace and symbolizes the nature of poverty to the western world. In order to truly emancipate the poverty stricken around the world we must necessarily understand the reasons for its existence. In a departure from traditional critical realist theory, Gruffydd-Jones argues the benefits of reassessing the relevance of objective inquiry and emphasizes its primacy over normative theory in the battle to truly understand the reasons for the African crisis. 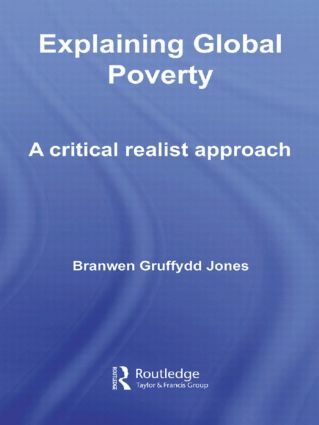 This approach brings us a book of real relevance for inequality in the modern world and gives us an important platform from which to move forwards in the fight against poverty. Introduction: Why is Africa poor?